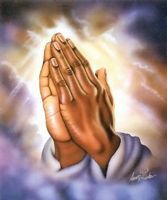 Please pray for me TMC and My love JMC. We have been together for 2 and half years. We are currently involved in a misunderstanding and desperately need reconciliation. Please pray that JMC's heart softens and the love we share comes back stronger. Please also pray that JMC stays true and doesn't cheat on me while we are separated. Thank you so much. Did you know that reconcilliation is a two-way thing? If you ask for someone's heart to soften you first have to ensure that your heart is softened towards reconcilliation; if you ask that your partner stays true to you while you are separated, make sure that you stay true in heart, deed and mind. Jesus teaches us that we must do to others what we want them to do for us. The same is true in a bid for reconcilliation. In other words make sure that you are, concerning this thing in a state of grace before God. I will pray for you that God by his grace remove this mishap of misunderstanding between you and that reconcilliation happens. A lot of what is going on in the world of men today is based on misunderstandings.